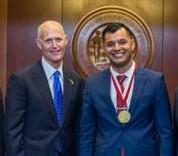 Julian Correa, 25, was honored during a recent Florida Cabinet with the Governor’s Young Entrepreneur Award. 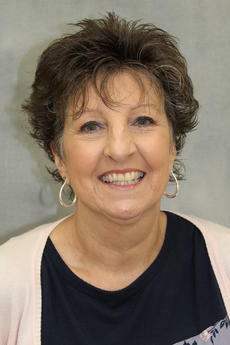 Correa is the CEO of KnightSpeed Moving, a full-service moving, packing and labor services company with 30 employees across multiple locations in Orlando, Tampa and South Florida. 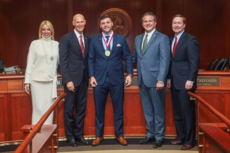 Correa started KnightSpeed Moving in 2013 while studying finance at the University of Central Florida, with help from the university’s Blackstone LaunchPad program. The Sumter County Relay for Life and the City of Bushnell will host a special Valetine’s Luminaria event, downtown Bushnell. 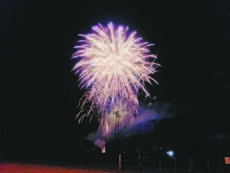 When it came to celebrating the birth of a nation, there was more than enough fun planned for tousands of people in Sumter County last week. TALLAHASSEE, Fla. –Today, during a meeting of the Florida Cabinet, Florida Gov. 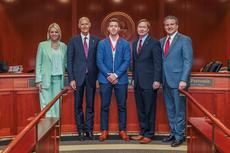 Rick Scott recognized Jon Bucci, 23, with the Governor’s Young Entrepreneur Award. 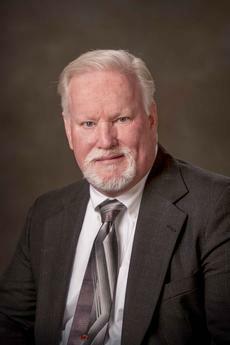 Bucci is the founder and CEO of Apex Property Restoration, a carpentry, repair and assembly service company operating in Southwest Florida. 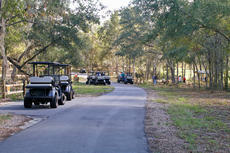 Apex Property Restoration was founded in 2012 and currently employs 13 Floridians. Bucci is also co-founder of Inari Industries, a technology startup company and soon to be opening Bucci studios, a health and day spa. Florida’s unemployment rate dropped to 4.5 percent in April, the lowest since September 2007, according to Florida Gov. Rick Scott's office. A press release from the governor's office notes that Florida businesses also created 15,000 private-sector jobs in April, bringing the total number of new jobs added since December 2010 to 1,355,700. For more than five consecutive years, Florida’s annual private-sector job growth rate, which is 2.9 percent, has exceeded the nation’s rate, which is 1.7 percent. Governor Rick Scott announced that Florida’s seaports have created 200,000 new jobs across the state since 2012, according to a new report from the Florida Ports Council. Florida’s 15 seaports are also responsible for $117.6 billion in economic activity, supporting nearly 900,000 jobs, $40 billion in personal income and $4.3 billion in state and local tax revenue.